Get ready to see what Addicted to Dance is up to! Join us on Cavalier Drive for an evening of kid’s activities! Live music by local musicians Spencer Camancho and Sabrina Pantal outside of Sew Vintage Boutique! 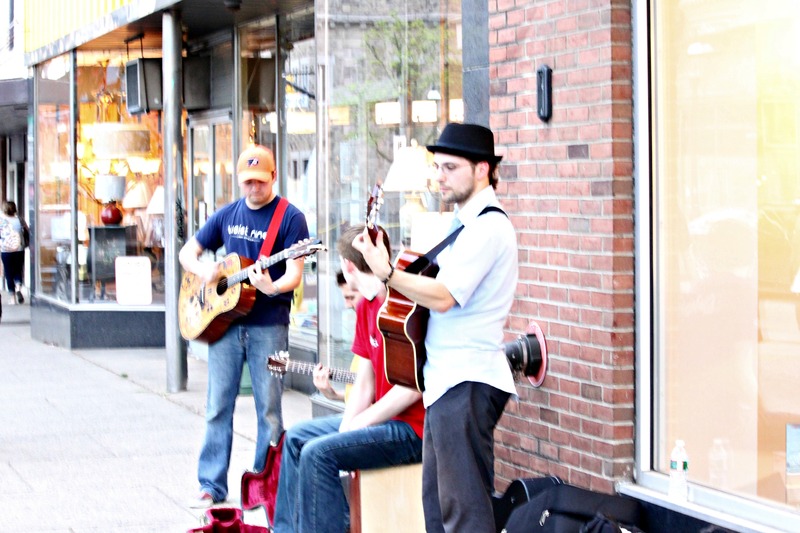 A special appearance by Peter Scott Ruben from 6-9 pm on the steps of Borough Hall. Sum Pig Food truck, Ambler’s very own, brings their globally-inspired comfort food to Cavalier Drive and and Butler Avenue. First Presbyterian Church will have cold Humankind Water available for a donation. Ambler Weekday Preschool will have information about the school and a craft for the kiddies! Play and Learn, Ft. Washington will have activities for the kiddies and information about their child care services. Sweet Briar Cafe debuts maple bacon vanilla ice cream with music by John Mahony on the patio. What a perfect night for ice cream and music! FROX is celebrating their last week of Xmas in July! All clothing and bags are 40% off ! Holistic Apothecary is offering Card Readings by Karen Flore from 5:30 till 9 pm. 15% off all candles and incense and jewelry. Sample Compass Evaluations. Sew Vintage Boutique will be open from 12 – 8pm on August 2nd for First Friday. Reduced our prices in store and are marked, we will also have a Sugarlips special–adult Sugarlips tanks will be $12 each and kids Sugarlips will be $10 each! They are hosting local high school musicians — check them out! Get to Armario for their summer sale – 20-40% off everything in the store! Armario will be open until 8 PM with wine and light bites. Outdoor music from Aiden Lair. ← Friday, July 5th Pre-Fireworks!